ClubWaka has got to be one of the most fun and active ways to make (and keep) new friends in Dallas. This adult sports league club includes kickball, volleyball, and even bowling leagues you can join around town. You don’t have to be a great athlete to join any of the teams, as the emphasis is on socializing, teamwork, and getting to know each other in an active setting. Of course, a little competitive spirit will only help cement your bond to your new teammates. ClubWaka is a great idea if you are more interested in low pressure, casual ways to meet people. MeetUp.com is thriving in the entire Dallas area, with groups ranging from those dedicated to networking with other professional singles to more interest or hobby-specific groups, such as meetups for hiking or book clubs. The key to using MeetUp groups to make friends is to be proactive about it. Create a profile with a current photo and a few interesting tidbits about yourself, including that you’re new in town and interested in meeting new people. Browse through the Dallas groups and join any that look interesting to you. Most importantly, actually RSVP to a few upcoming events and mark them on your calendar. MeetUp only works if you actually show up to events and make an effort to get to know people, so try to look at your RSVPs as true commitments. MeetUps often have only about a 50% turnout, which is inconvenient for organizers so it’s important to only RSVP when you truly plan to attend. Many groups have strict “no show” policies and will remove you from the group if you repeatedly RSVP “yes” but don’t show up. Dallas is a city with a big heart, and Dallas residents love to pay their good fortune forward by volunteering in the community. Volunteering for a cause you’re passionate about is an excellent way to meet new friends because your friendship will be based on your shared values, kindness, and interest in giving back, meaning your new friendships will be meaningful and more likely to last. There are tons of volunteering opportunities around Dallas, including everything from mentoring teens, spending time with Alzheimer’s patients, volunteering at an animal shelter or soup kitchen, to being a “first friend” to refugees. Whatever cause is closest to your heart, make an effort to volunteer on an ongoing basis and soon your time in Dallas will feel much more rewarding, and new friendships will begin to form. VolunteerMatch is a great website to look for volunteer opportunities. Locals tend to be very loyal to their part of town, in part because each neighborhood is so unique and full of fun stuff to do there’s little reason to leave . . . and okay, in part because sitting in traffic is no one’s idea of fun. Whether you live in North Dallas, Uptown, or Oak Lawn, get to know your neighborhood well because this is where you’re the most likely to find lasting friendships. NextDoor is a great neighborhood-specific app for news and announcements in your part of town. Scouting out bars, restaurants, coffee shops and boutiques in your neighborhood via Yelp and then checking them out in person (whether alone or with a new friend) is an excellent way to start growing Dallas roots. Have you found success with any friend-making strategies we haven’t covered? Let us know in the comments! 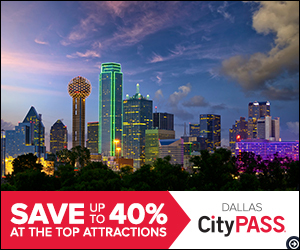 Dallas New in Town is your #1 resource for Dallas events and news especially for newcomers, so be sure to bookmark us or give us a call.